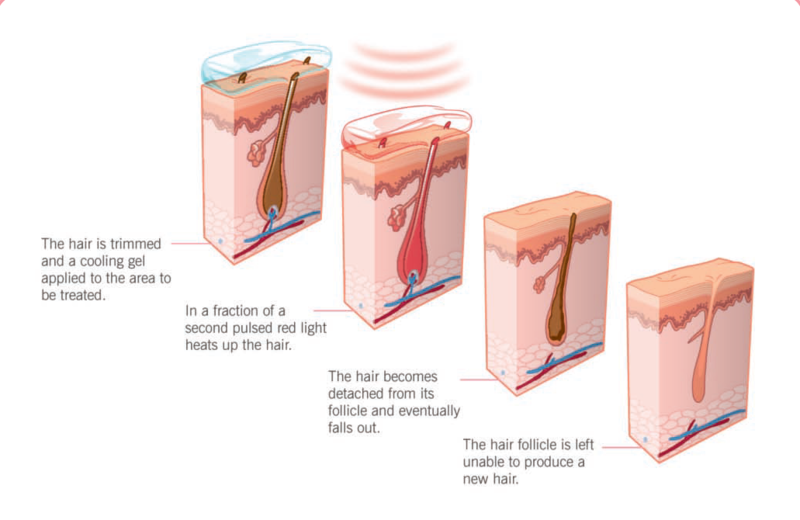 IPL (Intense Pulsed Light) is an effective treatment for long-term removal of unwanted hair. In most cases, only 4-6 treatments are required to achieve the desired result. It can be used for all areas of the body and typically little to no discomfort is experienced. At Bodyshapers, we use a medical grade, the UK manufactured machine of the highest quality (Energist). This means excellent results for our clients after only a few treatments. Prices start from $80 and depend on the size of the treated area. Price quoted at consultation, please use the below pricing as a guideline. Price indication per treatment, spaced 4 weeks apart to begin with, then further apart as growth becomes lesser. Cellulite results from a build-up of fat in cells beneath the skins surface, and the retention of water in the surrounding areas. As the fat cells continue to grow, the envelopes containing them loose their shape and pull on anchoring points on the skins surface giving the skin its orange peel appearance. As many women know, once cellulite begins, it seems to just march on relentlessly it is effectively a self-sustaining process: blood and lymphatic circulation is reduced due to compression of the vessels by the swollen fat cells depriving the tissues of nutrition and causing metabolic waste to stagnate. This congestion causes the connective tissue to loose elasticity and become fibrous, resulting in the appearance of cellulite, which is resistant to exercise and diet. Performed with a state of the art LPG machine the unit draws up a skin fold and rolls it, painlessly and deeply manipulating the underlying tissues to break up pockets of cellulite and stimulate circulation through all the skin layers. The increased blood and lymph flows bring fresh oxygen and nutrients to all the layers of the skin and even to the tissues below the skin. This improved circulation then flushes away the excess water, fats and cell wastes freed up by this deep tissue massage. With this new Endermologie unit the technician can apply many beneficial procedures. The result is smooth, glowing skin, smaller measurements and drastically reduced Cellulite! Completely. It has been used in Europe for the last twenty years. The treatment is a very pleasant and enjoyable treatment . Endermologie treats the cutaneous and subcutaneous connective tissue. Being perfectly adapted to every condition and region to the body. Endermologie yields results that are highly effective from a physiologic as well as from a cosmetic standpoint. It targets cellulite by acting upon the hypodermic connective tissue promoting vascularization and elimination of toxins, stimulating cellular exchanges, as well as mobilizing the “connective gel” in order to restore its smoothness. Base on similar physiological principles Endermologie can reshape the body and reduce the volume by enhancing lipolysis at various fatty tissue levels. At the epidermic level Endermologie performs an exfoliation thereby eliminating dead cells and restoring the skins natural radiance. 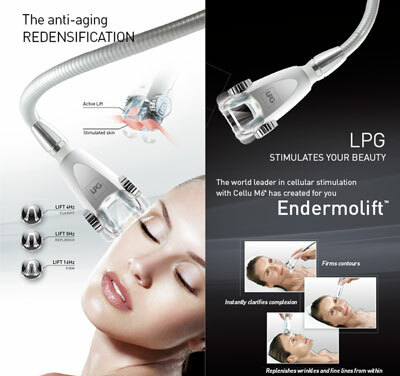 Because of its multiple benefits, endermologie is also used as an anti-aging therapy. Who Is Perorming the Treatment ? How Long should I continue my Treatments ? We suggest that you treat your cellulite treatments as a lifestyle change, just as you go to a hairdresser to get you hair cut. We need our cellulite treated regularly as well, if we don’t address the problem on a regular basis it will come back. Maintenance once a month is suggested to keep the lymphatic system stimulated and to eliminate the chance of cellulite re-forming. What Do I wear ? We will provide you with a bodystocking Endomowear to wear during all of your sessions. This stocking is worn for modesty and hygiene. 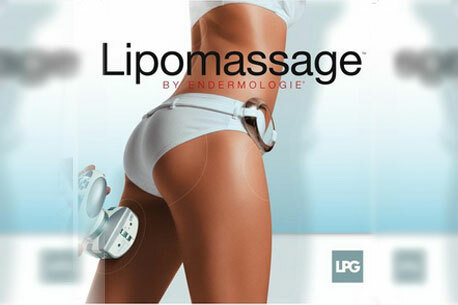 Lipo Massage by Endermologie is the latest generation of machines equipped with independent motorized rollers which enables it to reach the heart of adipose tissue and stimulate lipolysis. The rollers have unique ways of grasping tissues for highly targeted results, such as sliming with Roll in, firming roll out smoothing and roll up resculpting. Lipo massage targets lipolysis, therefore diet and exercise resistant fat can finally be treated with complete success. Lipo Massage now means that without surgery in as few as 12 sessions it is possible to reshape your body and loose inches with long lasting spectacular results. The new protocols isolate fat layers and work them intensively. As the isometric exercise requires exertion the released fat energy starts to be burned immediately. As this happens surface layers are nourished with an invigorated fluid exchange and the skin is revitalized. The results lead to a slimmer, toned body and noticeable fat loss in the concentrated areas. What is Tripolar Technology ? Tripolar “Radio Frequency (RF) Technology is an innovative proprietary approach developed by Pollogen Ltd that maximizes the benefits of RF Technology while avoiding its drawbacks. Tripolar technology is simple to use yet extremely efficient and powerful. In fact it is so effective that its results on skin tightening are visible right after the first treatment. Treatment is not painful - The TriPolar RF technology focuses the RF energy right where it is needed requiring much lower energy than Other RF technologies, thus avoiding the associated pain for the client. Selective heating of Fat tissue - The TriPolar directs energy Selectively to fat tissue avoiding heating to other tissues thus aAchieving better clinical results. Not Requirying Light Technology - applicable to all skin types and Colours. Tri Polar electrodes are used to deliver high frequency electrical current to the skin and subcutaneous layers. The unique TriPolar configuration and associated control software enables accurate control of the energy and the depth of its delivery. This enables the most efficient and powerfull tissue treatment of any RF technology in the market. Physiology and Subcutaneous fat -The hyperdermis or subcutaneous fat layer is made up of the clustering of fat cells called adipose tissue. At room temparture, these fat cells contain single droplets of stored fat in the form of liquid fat. Of a single fat cell 95% of it is fat in volume. Andipose tissue collectively makes up a large scattered organ that is metabolically very active, which is primarily engaged in the uptake and release of fat. The release of fact can then be made available as energy to cells throughout the rest of the body. It is well known in chemistry that reaction rate can be increased significantly by increasing the temparture of the reaction. Therefore, increasing the temparture in the adipose tissue, increase the rate of release FFA. For example tempartures below 36 C slow reaction rates and tempartures above 36 C increase reaction rates in a more or less linear fashion. We have to create conditions where fat cells in the desired treatment area (i.e. tummy, buttocks,”love handles” double chin etc.) release their liquid fat thus shrinking in size. In order to deal with the root of the problem, we have to selectively raise the temparture of the fat cells in the treatment for a prolonged time, in both the dermis and subcutaneous fat layers of the skin. This results in shrinkage of ALL treated fat cells and an increase of the blood circulation through the tiny capillaries supplying the fat cells which in turn increase oxygen supply to that area further increasing local fat cells metabolism and helping the lympathic system to mobilize waste and toxins from the treatment area. In order to selectively raise the temperature in the necessary areas, high frequency electrical currents are transmitted to all skin layers via the TriPolar Electrode configuaration. These skin layers in which the currents travel act as resistors in a series, the fat layer having significantly higher electrical resistance Than the other layers . Therefore, when the current passes through the skin layers the areas with the greater electrical resistance (fat cells) are heated much more than the surrounding tissue. Therefore, by selectively heating the fat cells it increases the metabolism and forcing them to release FFA thereby shrinking in size and achieving the desired aesthetic results. This remarkable technology selectively heats the fat cells under the skin without adversely effecting surrounding tissues. Simultaneously heating deep and shallow areas of fat, doing so by combining this dual effect of uni-polar RF and Bi-polar RF in one applicator. Moreever, unlike conventional systems, this patented technology eliminates the need for skin cooling thus enhancing treatment efficiency – resulting in less treatment sessions and less fat. ONE OF THE MOST EXCITING DIFFERENCES IS THAT THE RE-GEN TAKES 1/3 THE TIME OF MOST TRADITIONAL TREATMENTS. The Targeted Solution for Healthier Skin. An anti-aging treatment that offers unrivalled performance and sensations. Lift massage when applied to the skin, the patented treatment heads produce a rhythmic, continuous mechanical micro-pulsation. Throughout the 30 minute treatment every inch of the skin receives a direct tri-dimensial stimulation, around the eye and facial contours, the neckline area. Often women only consider creams, serums and masks for their skincare routines. Yet the skin is supported and strengthened by its underlying structures , connective tissue, collagen and elastin fibres, to which the skin owes its firmness and smoothness. Lift massage offers your skin a pleasant mechanical workout to reinforce these foundations to help prevent and combat the visible signs of aging. Fibromyalgia is a long-term condition characterized by symptoms of widespread muscle and joint pain, stiffness and fatigue. Diagnosis can be difficult and the focus of treatment is to manage the condition through exercise, rest and stress reduction. Fibromyalgia can affect anyone at any age but is most commonly diagnosed between the age of 25 and 55 years and is more likely to occur in women than in men. Fibromyalgia appears to be relatively common, with studies suggesting up to 2% of New Zealanders will develop the condition. Very good pain reduction has been seen after few session with endermologie. Surplus fatty tissue puts undue strain on your circulatory and lymphatic system reducing its ability to adequately flush out toxins. The toxins mix with the surplus fat and fluid and become lodged in small pockets in the connective tissue. They can harden into fibrosis and show on the skin’s surface as visible dimples that affect the thighs, hips, buttocks and abdomen. Once cellulite has found a home in your connective tissue, it cannot be eliminated with diet and exercise. A healthy lifestyle can alter your weight, but it has no direct impact on cellulite. Plus, cellulite tends to become more severe with age, irrespective of hormones. Women with long-term cellulite know. Cellulite can become painful and leaves your skin cold to the touch from lack of circulation. It may surprise you but there is only one treatment available that is approved by both the FDA (Food & Drug Administration) and the TGA (Therapeutic Goods Administration) as well as comprehensively proven to treat cellulite. It’s Endermologie, certainly worth knowing about because if you ever want to be free of yours, you should talk to us. The benefits of Endermologie are not just physiological; clients also enjoy an improved sense of wellbeing and confidence as a result of firmer, toned and more youthful looking skin. Of course, Endermologie offers a range of equally remarkable benefits that you can’t see. 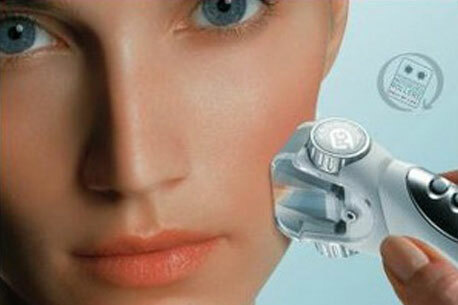 The treatment stimulates the entire skin’s structure improving the natural production of collagen and elastin. Simultaneously, microcirculation is boosted improving overall detoxification. Be realistic about how you want to live and call Bodyshapers today. Endermologie is a relaxing treatment that is completely painless and treatments take just 35 minutes. Winter is the perfect time to confidentially discuss the body you want for this summer, plus the packages that will meet your expectations. Endermologie was the first ever treatment to be approved by the FDA. Bodyshapers’ therapists are accredited professionals trained in assessing and developing individualised treatment packages that deliver results.